Voyages El Questro Wilderness Park offers a great place for camping when you are looking for a less populated location. 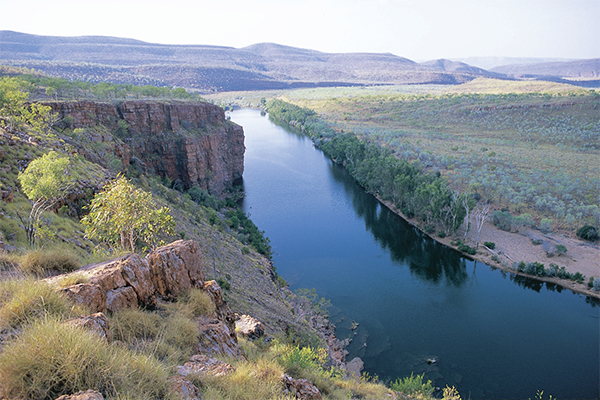 The area of it spans 1 million acres and it is located in the Western area of Australia. A great deal of this location really hasn’t been explored. Some believe this is one of the last few frontiers in the world. Sometimes camping areas can be heavily populated and that makes it tough to enjoy the solitude. You won’t have that problem when you come to this camping location. Make sure you have all of the items you need so that you don’t have to go looking for them. There are so many great adventures waiting here at Voyages El Questro Wilderness Park! You can do them alone if you like or you can do them with others. Some of the activities offered include horse trails. You are welcome to bring along your own horse or you can rent one for the day. There are helicopter rides that will give you a bird’s eye view of areas around Voyages El Questro Wilderness Park that very few have ever witnessed. There are also rangers that have daily activities you can sign up for. They can take you on adventures that will show you birds, crocodiles, and many other types of animals. Each experience can be different which is why people often sign up for such an activity every single time they come to Voyages El Questro Wilderness Park. Should you decide you want to explore on your own there are many trails. You will find excellent places for picnics too. Enjoy the solace of great views where you can unwind, relax, and rejuvenate your body as well as the mind. Many activities can be taken part in around the water. You have your choice of the types of accommodations you would like to have while you stay here. Bring along your own camper trailer for riverside camping. This puts you in a very scenic location. It is also very close to the water where you can enjoy a variety of activities. You might also want to use a rooftop tent here for an even better view and high camping comfort! There are also cute bungalows and small cabins offered at Voyages El Questro Wilderness Park. They are offered in various sizes and locations. You can check out their brochures or website to see what would be perfect for your budget and the type of camping experience you are looking for.